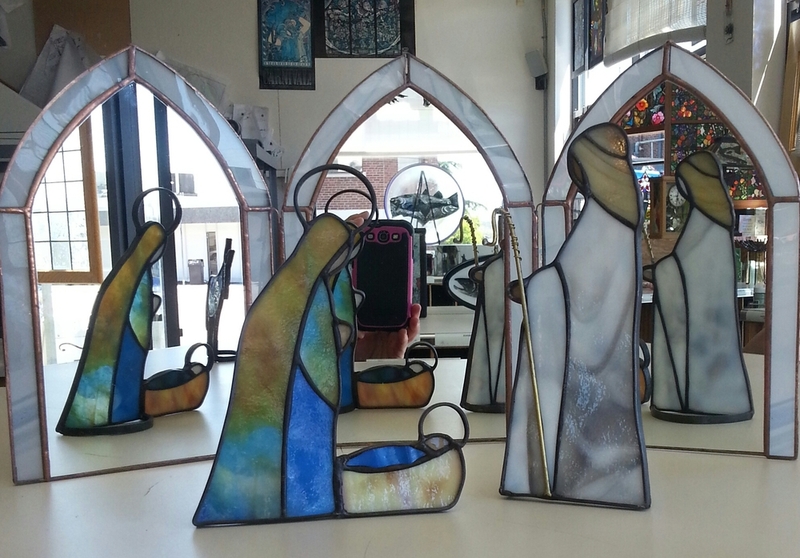 Come and learn how to copper foil and assemble a free standing nativity set. We will make Mary and the Christ child, Joseph and the background in this 3 week workshop. This is a great way to utilize your scrap glass and see how those little pieces can create a heavenly work of art. Basic stained glass experience required.